Verona Italy, tourist attractions and information. Verona Italy, a charming city of art in the region Veneto, displays its artistic, cultural, and natural treasures with pride. It is a place where high quality artistic elements belonging to different historical periods are harmoniously integrated. 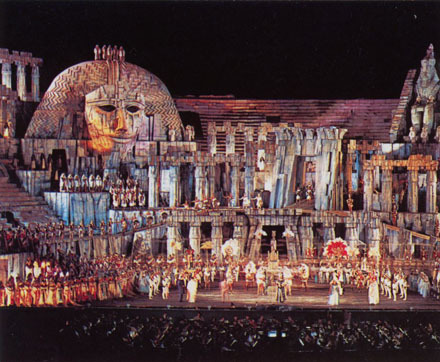 Its symbolic monument is the Arena, the amphitheatre with 2000 years of history, still in use now for a world-famous "Opera Season". It has also housed concerts of popular singers and music bands like The Who, Kiss, Simply Red, Simple Minds, Pearl Jam, Muse, Elton John, Bob Dylan, Tina Turner, Sting, Phil Collins and many more. Piazza Bra is the heart of the city with the spectacular Roman Arena. 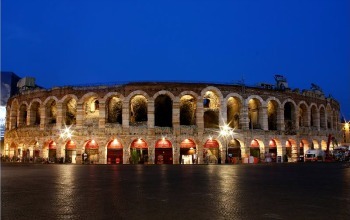 It was built around the 30 AD and with its 25,000 seats, it is the largest Roman stadium still in use. Its frescoed palaces, Castellvecchio castle, bridges, churches, and squares accompany the visitor in an amazing journey through history. 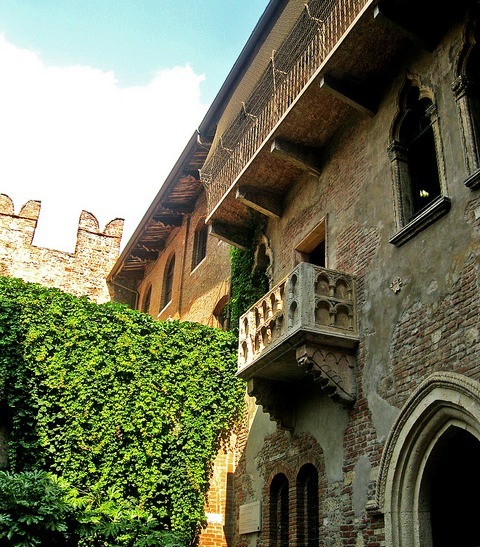 Thanks to William Shakespeare and his play "Romeo and Juliet", Verona is a city now widely known and admired, and as a result there are 27 cities in the world named Verona, born as consequence from his works ( in the U.S., Canada and Australia). Even the poet Lord Byron attests the importance of the role played by William Shakespeare in shaping the reputation of Verona as "city of love". 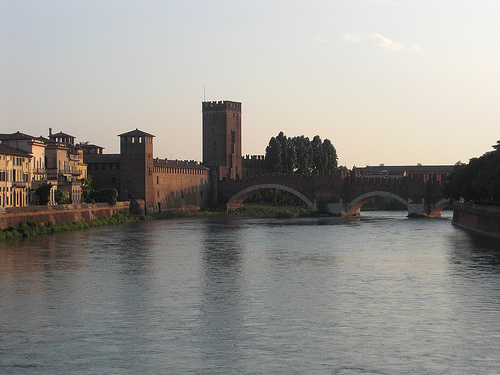 Also known as the setting for Shakespeare's "Two Gentlemen of Verona", Verona is situated on the banks of Adige, the second longest river in Italy. With its unique architecture, is one of the most romantic cities in the world, rich in artistic values and cultural spirit, with many festivals and fairs. Verona impresses with its baroque, gothic, medieval buildings and since the year 2000 is UNESCO World Heritage Site.